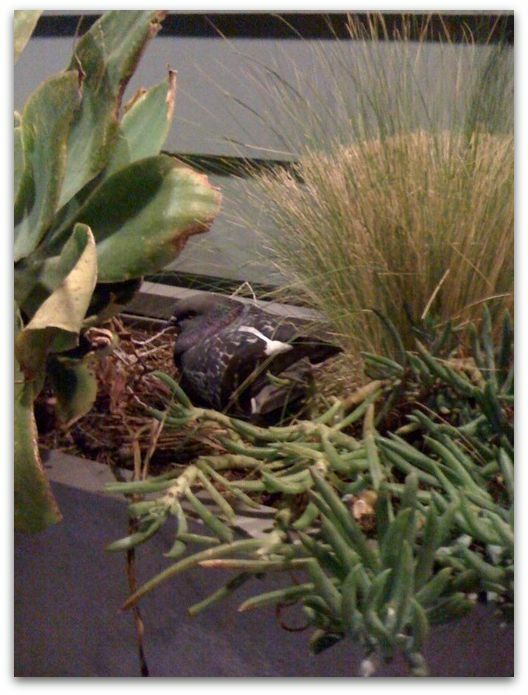 Love is (or was) in the air this winter, and one lucky soon-to-be mama pigeon chose to lay her eggs among the seagrass at HIGH. The HIGH team has affectionately named this mama “Joie.” And her unhatched baby? Puff! Puff is patiently awaiting his arrival in the crazy world that is Venice Beach, but in the meantime he’s keeping himself busy on Twitter. He’s quite the modern little bird, after all! Follow @PuffthePigeon on Twitter and track his journey from Chilled Out Egg to Venice Beach Baby. This entry was posted on March 29, 2010 at 2:08 pm and is filed under Joie de Vivre Hotels, Joie de Vivre Restaurants, Southern California. You can follow any responses to this entry through the RSS 2.0 feed. You can leave a response, or trackback from your own site.